The Luxe Marketplace within New Orleans Fashion Week is intended to build brand awareness and cultivate relationships between designers, boutiques, and consumers - a key factor in driving captial into the economy and sustaining the local fashion industry. How| Gain 3 days of exposure, personal interaction, marketing, building brand awareness, promotion through NOFW event(s), website, e-blast, social media, and event program. The Luxe Marketplace fee of OPTION A - $600.00, OPTION B - $425, or OPTION C - $450 is payable by cash, check, or credit card. Space is only reserved when payment is received and on a first receive bases. Payment is required prior to event and participant will not be allowed to set up at event until payment is made. Any check returned because of nonsufficient funds or any other reason will be charged a $40.00 service fee. PayPal payment can be made at the bottom of this form upon completion. Checks should be made payable to: Fashion Week New Orleans, LLC and can be mailed or delivered to 3910 Jena Street, New Orleans, LA 70125. Cash: A time can be schedule for to receive cash payment. Payment/Cancellation/Refunds: Luxe Marketplace payment deadline is Friday, March 2, 2018. Vendor cancellation is accepted by written notice only. Cancellation on or before March 2, 2018 will receive 100% refund. Cancellations received between March 3, 2018-March 9, 2018 will receive a 50% refund. No refunds will be granted after March 9, 2018. No vendor shall be permitted to exhibit unless agreement is electronically signed, submitted, and all applicable fees are paid in full. Weather Condition: Vendor agrees and understands that in the event of inclement weather NOFW will relocate the marketplace to the interior location. Refunds will not be issued due to inclement weather. Luxe Marketplace Dates: Marketplace will take place March 22, 23, 24 at The Monastery, located at 1236 N. Rampart, New Orleans LA. Vendor agrees and understands their booth will be setup and operational all three days. Luxe Marketplace Hours: Marketplace opens daily at 6:00PM and closes at the end of show each night. Vendor agrees and understands that booth cannot be closed or taken down before the close of show, unless otherwise approved by NOFW. Booths must be attended by a vendor representative during all hours of operation. Booth Approval: Acceptance and placement of vendors is at sole discretion of NOFW. Acceptance and placement of a vendor's application can be made without giving any explanation. Booth Set Up and Removal: NOFW will provide one 6ft table, table skirt, two chairs and appropriate lighting. Vendors are responsible for all other aspects of their set-up. NOFW team members will be available to assist load-in upon request. Vendor may assemble booth between the hours of 3PM-5PM, each day of NOFW runway shows. The booth must be operational with a representative when NOFW doors open at 5:30PM. Final tear down and removal of all vendors' belongings must be completed at end of show, Saturday, March 25, 2018. Booth Placement: NOFW reserves the right to place marketplace vendors in a booth location at the complete discretion of New Orleans Fashion Week. Booth Construction: Exhibit space is limited to the dimensions outlined above and vendor agrees to comply. Any additional items are the sole expense and responsibility of that vendor. NOFW retains the right to cancel, change or modify the exhibit space assignments of any vendor. Vendors will confine their operations to the booth and shall not tack or place advertising material or solicit business outside the parameter of the booth. Booths are to be manned and vended during all hours of operation. Vending may take place only from the vendor's booth, unless otherwise discussed and approved by NOFW. Assistance Allowed: Vendor (Option A & Option B) may have one additional person (for a total of two) to assist with managing their booth. Vendor is to provide the names of the two people working their table. Vendor (Option C) will each have only one person representing their company for a total of two people at the table. Complimentary event tickets provided by NOFW to Vendor are to be used to invite guest, clients, or used as marketing/promotional tool to promote your participation in NOFW. Please note anyone working a vendor table will not need to use a complimentary tickets for entry. Liability Indemnity: NOFW makes no representations or warranties, expressed, or implied, to the vendor regarding the condition of the premises or the success of the vendor's efforts. Vendor covenants that it will protect, defend, hold harmless, and indemnify NOFW, its directors, officers, agents, employees, and volunteers from and against any and all expenses, claims, actions, liabilities, attorney's fees, damages and losses of any kind whatsoever, actually or allegedly, resulting from or connected with the participation as a vendor. NOFW shall not be liable for any loss or damage to any merchandise or personal property in or about the vendor's booth, regardless of the cause. NOFW shall not be held responsible or liable for any costs, expenses, damages or any other sums whatsoever incurred by the vendor or any other party as a result of the condition of the premises, the exhibit space, or the theft or destruction of the vendor's products or property. Merchandise: Vendors may not display materials, which in the sole judgment of NOFW, are deemed obscene, dangerous or unlawful. Failure of the vendor to comply will create a forfeiture of rights and privileges of this contract. Electrical Requests: Electricity will be provided as needed. Needs exceeding one standard GFI outlet with 110/20 amp service, may incur a service charge. 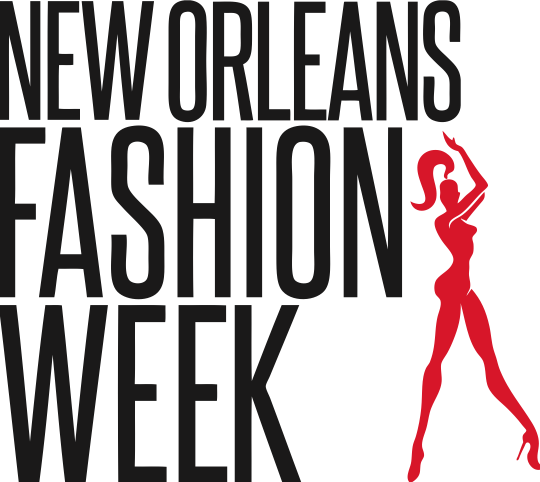 Email requests to info@neworleansfashionweek.com by March 9, 2018, with subject "Luxe Marketplace Request". Interpretations and Enforcement of Rules: Each vendor must comply with any and all federal, state, and local statues and ordinances. NOFW reserves the right to enforce compliance of all state, local, and federal laws, statues and ordinances. NOFW reserves the right to amend any building and/or production rules and regulations it deems appropriate. Any violation of these laws and/or rules shall result in immediate forfeiture of participation in NOFW. Applicable Taxes: Vendor is responsible for any and all applicable state and local taxes for merchandise sold at their booth. Parking: There will be car access for dropping off items during load in and setup. Parking is available at nearby lot(s) and as well street parking is available. Sound Restrictions: NOFW reserves the right to monitor and regulate the level of sound from all booths. Clean Up: Vendor's booth must be kept clean, neat, tidy and of a professional appearance. Signature: Your electronic signature is required. Your application submission and your electronic signature together will confirm and acknowledge that you have read and agree to all rules nd regulations of New Orleans Fashion Week. Please type your name in the area provided below. Thank you for your interest in New Orleans Fashion Week.